I call u on Palm Sunday about our garage door was not sealing properly and a snake got in our garage????. You had someone at my house by 3 pm. Josh and Alejandro were awesome, they worked so hard and were so polite and professional they expalained everything and fixed the problem and serviced our garage door, never complained about the heat or working on a Sunday. I would use this company again and refer them!! A very positive experience! Thank u so much Josh and Alejandro!!! I thought Desiree Nolan was very informative and professional to work with. She is a positive representative for your company. Find the quality and service top notch. One of the vendors that I happily recommend for knowledge and service. Installed new hurricane rated garage door and opener. Prompt return on original call. Reasonable price. Quick installation. Quality products. All good. I give you 5 stars for the appointment made over the phone and for coming the next day which was a Sunday. The technician was prompt, very nice and repaired our garage door quickly and also serviced 2 other doors to make sure they were working correctly. We had the best experience this morning with Precision Overhead Garage Door. The two employees that came out did a great job explaining what needed to be done and how much it would cost. They were both very professional and their customer service was outstanding. Overall wonderful experience! We called because the seal strip on the bottom of our door had rotted. When Matt came out, he found other issues that we had not noticed, but were significant. He spent many hours doing all of the repairs. The results were very apparent. We were very pleased with his work and will definitely use Precision again. Very satisfied with the promptness of the service tech (Jose Rosario). He was actually early. Very attentive and knowledgable of problem with my garage door. Replaced the spring and put on new rollers and adjusted chain on opener and it was much quieter than before. Good job Jose. I would reccomend Precision if you need work on your garage door!! My technician, Rosario, went above and beyond expectations. He checked and made adjustments to my garage door and installed a new sealer/flap at the bottom of my door. I appreciate how thorough and professional he was and how attentive he was to my issues. Your tech was fabulous and adorable. Keep him.!!!! Hard to find young people who really care about their job, quality and the customer. Great job. Very professional and prompt. I will gladly use again. I called Precision on a Wed. morning and they immediately scheduled a technician to come out and perform an inspection and present a quote for a new garage door opener. The technician called me 30 min. prior to his arrival and when he arrived, went over the job and presented a scope of work. Needless to say, I decided to move forward and he had everything completed within an hour and a half! 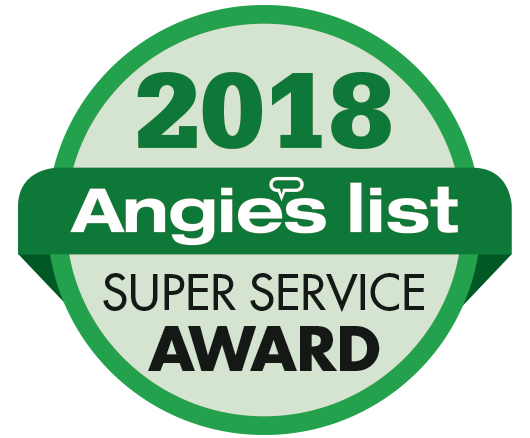 Overall, I received excellent service and Michael Graves was awesome to work with! 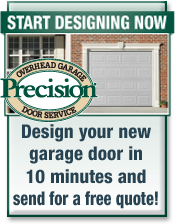 I would highly recommend Precision Overhead Garage Door Service! 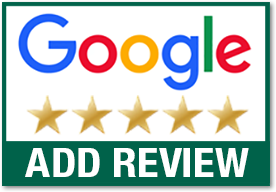 5 stars - Christian did an excellent and professional job explaining what was needed and how he would repair and replace. Well done. Excellent service. Jose, the technician was courteous, competent and repaired the door in an expeditious and efficient manner. Our tech was the best, he explained everything, didn’t leave a speck of dust, loved it!! Highly recommend! Excellent experience. Service Tech was excellent. Minor repair, very helpful. A bit pricey at install but they totally stand behind their product and no nickel and dime if you need service.. very, very pleased with this company. Will totally recommend. You sent Jose to fix my door. You can be very proud of the way he represents your company. He was polite, competent, friendly and spoke good English ( not always the case these days). He explained the different options without pushing the better spring. He saw the picture of my wife and I in our uniforms (we are both retired Army) and said you give a 5% discount to military. Thank you. The Precision installers were polite and professional. Arrived on time and were very competent. My garage door failed last evening at 7:30pm, trapping my car inside. I went on the internet, dreading the long search ahead of me for a decent repair shop. The first place I found was Precision. It had great reviews and they were open until **9:00pm**. I couldn't believe my luck. I called and was quickly given an appoint for today between 10am and 2pm. Bryan arrived early, after calling me first, and was yet another example of the fine workers I'd seen reviewed on this site. He was friendly and knowledgeable and he soon presented me with several options, along with detailed estimates for each one. He allowed me to make my own choices without any type of sales pressure. I had read the many five star reviews for this company and it's employees but I was still happily surprised. Bryan explained each and every aspect of the repairs needed and his recommendations for a satisfactory solution to my garage door problems. He had everything he needed on his truck to make the chosen repairs and, by 1:30pm, I had a smoothly functioning garage door once again. He took me through everything he had done, then patiently explained how to use the new equipment. The warranties were better than expected and, thanks to the work I witnessed today, I'm confident any problems will be quickly addressed..but I don't expect any. I want to thank the folks at Precision for turning yesterday's nightmare into today's dream. I simply love my new (and whisper quiet) garage door system. Had replacement of springs, cables and rollers. Technician was prompt,professional and very knowledgeable. I would recommend this company to friends and family. He resolved the problem and checked the springs and rollers on the door. Great service. We just had our new door installed and we are very pleased with it. I really want to comment on the Technician Chris who did the install. He was very professional, organized and efficient and got the job done when he said he would. He is a great employee and represents his company very well. I also want to compliment the owners because when I asked how it was to work for them Chris's immediate response was "great". How often do you hear that? Great team, great company, I would definitely recommend them for your garage door needs! !